Well, it’s not exactly a secret that UK artists have had a habit of, shall we say liberating, American Soul and Blues music over the years and remaking it in their own image. Everyone from Cream, and The Stones to Led Zeppelin and The Animals would be career-less if it weren’t for a bunch of self-righteous pilgrims who loaded up the boats with their bibles generations ago and headed for America. 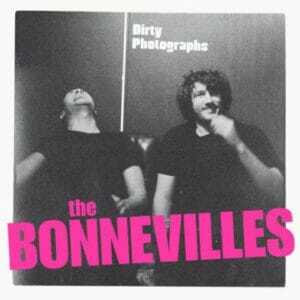 So, it’s shouldn’t be that big of a shock to hear that the powerfully heavy, Blues-soaked duo that make up The Bonnevilles didn’t actually grow up in shotgun shacks outside of Memphis, rather they were born and raised in the clover patches of Ireland. But, damn they’ve done their homework. Not unlike some of their other Blues and Soul lovin’ peers in the U.S. (The White Stripes, The Black Keys, Jeff The Brotherhood), Andrew McGibbon Jr. and Chris McMullan put a slightly modern spin on the old records, but not too much. From the organ groans on “Don’t Curse the Darkness” to the whiplash guitar on “Long Runs the Fox,” the band does an impressive job of recycling some of the best elements from a slew of different genres. And while other neo-Blues bands tend to put more emphasis on style over substance, this duo have enough solid songs to stop that argument before it even gets started. Whether charging through a jam like “Panakromatik” or expertly reeling in a slower, subtler song like the powerful “The Rebels Shrug,” The Bonnevilles shows a depth missing from many in the genre.